Whether you’re looking for a craft store for a last minute school project, or are interested in building your own holiday decorations, we have you covered. From knitting to quilting, scrapbooking and even photography, these craft stores can turn you into an expert in no time! Many offer classes in stores or online to help you expand your skills in time to create all of those homemade gifts and decorations you want to give this season. 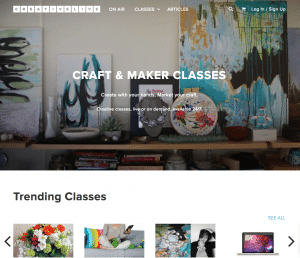 Creativebug is a subscription website full a art and craft classes. After signing up you will have unlimited access to over a 1000 different award-winning art and craft classes with expert instructors.They also offer a free trial as well as a lifetime access to one free class. Choose from art, sewing, knitting and more, with new classes added weekly. Every month you can save your favorite class to your personal library and since classes added to your library never expire, you’ll still have access to them even if you cancel your subscription. You can also buy and find free class to add to your personal library without a subscription. Each class comes with a description, materials list, video step-by-step instructions, and a discussion board for you to connect with the instructor and other people working on the same project. 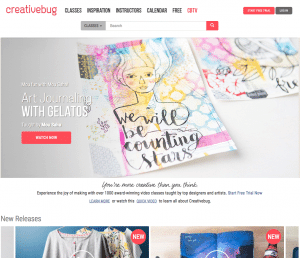 Find CreativeBug coupon codes. Craftsy uses both online classes and projects kits to deliver an array of fun craft projects. Their site has classes and kits from quilting, sewing, and knitting to photo, paper, food and jewelry. You can browse through their class and kits according to skill level, technique, project type, and price. Once you purchase an online class it will be added to your library so you can view the class whenever you want. The classes come with step-by-step video instructions, material list, class resources, and sometimes a coupon to purchase some of the materials. Kits will include instructions and the materials needed to complete it. If you know someone crazy about crafts you can purchase classes and kits to send as a gift. Extra supplies, tools, and patterns can also be purchased on the Craftsy website. Subscribe to Craftsy to learn about their latest classes, kits, and blog posts to help fuel all of your creative desires. 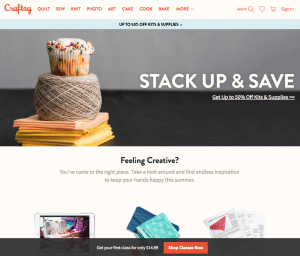 Find Craftsy coupons here. 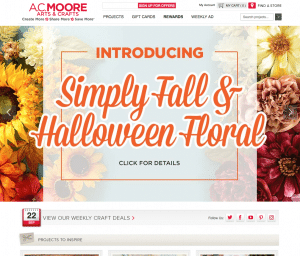 A.C. Moore is known for their arts and craft store locations; providing a vast selection of arts, crafts and floral merchandise as well as value and service that inspires and fulfills unlimited creative possibilities. The online website offers a multitude of projects and crafts for every skill level. 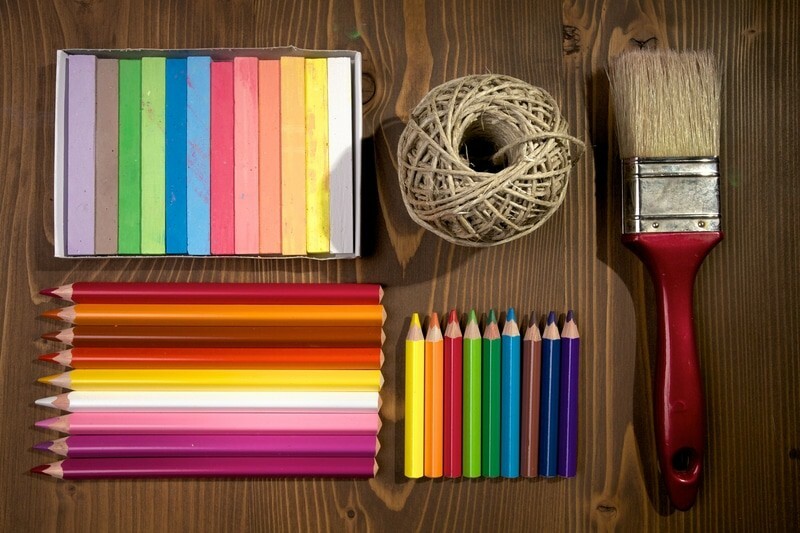 From knitting, jewelry, and paper crafts to home decor, kids crafts, and painting, it’s easy to find a project that will inspire you. When you find a craft or project that peaks your interest just click and you’ll find a description, pictures, step-by-step instructions, list of supplies, difficulty level, and an estimated time. You have the options to email the project or print out the supplies list and instructions. Some of the projects come with videos to supplement the instructions. The best part is that every craft and project is free. You are expected to purchase your own supplies, but you can receive discounts and coupons when signing up for their newsletter and checking the A.C. Moore website. At Craftbits you can create simple crafts with their step-by-step projects. 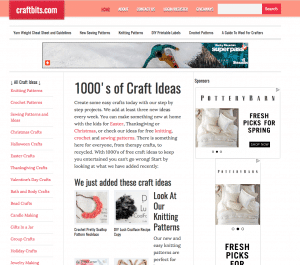 They offer 1,000’s of free craft ideas and projects to fill your home or give away as gifts. The website is updated with at least three new ideas every week We add at least three new ideas every week. There are ideas ranging from knitting, crochet and sewing patterns to holiday, home decor, and kids crafts. The projects and crafts come with pictures, supplies list, and instructions. Project instructions vary according to project. Which means the instructions can be formatted like a blog post or article, being written in a series of paragraphs, or have detailed step-by-step instructions with pictures and videos. It will depend on the author explain the craft. If you fancy the way an author explains and instructs a craft or project, you can click on their name at the top of the article and find other projects and crafts by them. 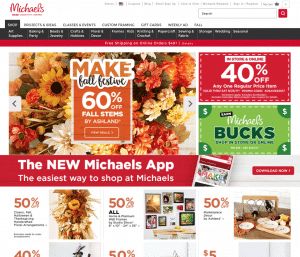 Michaels is has store location all across the nation that provides quality arts and crafts supplies at affordable prices with various discounts, rewards, and coupons. Their website offers free projects and ideas that fit different skill levels and interests. The site is easy to use, all you have to do is scroll through the different project and ideas offered and click on the one you like. They have projects and ideas for yarn, paper, teachers, seasonal, and so much more. You can refine your search by skill level, surface, occasion, and estimated time. Each project comes with a supplies list, with the option to buy each item need right off the site, estimated time, and level of difficulty. There are step-by-step instruction that you can print out or save to your account. The site also offers various videos that accompany some projects and ideas. CreativeLive has been building its community and classes for seven years. They offer over 1,500 curated classes, more than 650 world-class instructors, and 10 million plus students. Classes range in all the arts, including crafts like knitting, fabric, paper, food, mixed media, and other various topics. Each class has class information, materials, reviews, and HD video lessons that you can stream and download to watch offline. You can sign up for free and only pay for the price of each class, but some courseS have a free broadcast that members can rsvp. Every purchased course comes with HD video lessons, exclusive bonus content, lifetime access, streaming and downloadable files available on desktop, mobile and tablet to watch offline, and 100% satisfaction guarantee. 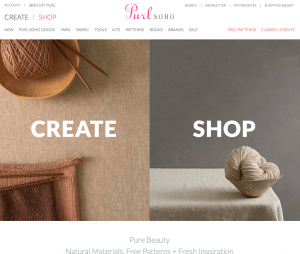 PurlSOHO offers projects, tutorials, and crafts resource to crafters everywhere. The focused audience are knitters, crocheters, quilters, embroiderers, and fabric crafts. The website is updated two or three times a week with free patterns, tutorials, and crafts. The projects and crafts descriptions and instructions are formatted like an article or blog post. Each project is free and you can either print or save it to your account. A materials list, pattern, and a video tutorial are all provided. PurlSOHO also sells all the materials needed to make any of their projects or crafts. Kits are also available for sale that include all materials. From knitting and sewing to embroidery and weaving, the kits are beautifully designed and photographed for crafters to preview. 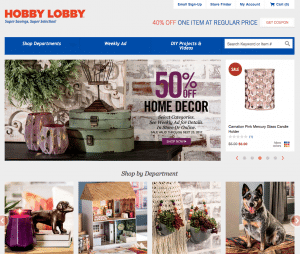 Hobby Lobby is another arts, crafts, and hobby store that provides customers with an array of quality products to fuel every crafter’s passion. Their website offers over 1,000 projects to choose from. Hobby Lobby’s project’s page offers unique tips, lessons and inspiration from their Creative Studio. Whether you prefer home decor, kids’ crafts, knitting, crocheting, sewing or painting, you’ll love find something you love. Every project has a description, step-by-step instructions, skill level, and material list. You can download the instructions and purchase all the materials straight from the materials list. Most of the projects offer a tutorial video to guide you along the way and better understand techniques and skills. Check for Hobby Lobby coupons before you start your shopping. Annie’s Craft Store is known for the originality of its designs and a favorite source for creative inspiration and supplies. 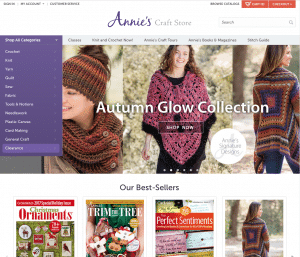 Annie’s Catalog offers online classes as well as magazines, books, kits and supplies that are targeted to home and family interests, including crafts, nostalgia and home decor. The site’s classes are all online with with descriptions, materials list, skill level, and customer reviews. Subscription to the website is free and each course is individually purchased. The classes range from developing skills and techniques to projects. Each class has a short preview video that customers can view before purchasing. Once the class is purchased you have unlimited lifetime access to it’s content. If you enjoy the classes and layout of the site and have a knack for teaching a specific skill or project you can email the website to inquire about working with them to create a class! Find coupons for Annie’s. 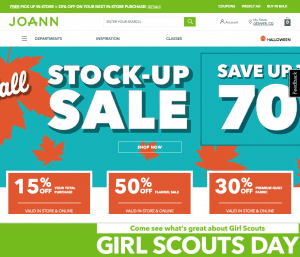 Joann Fabrics is mostly known as a craft store with amazing coupons, but their online website has a large variety of crafts and projects. Projects are constantly added to the site to match with current trends, seasons, and holidays. Knitting, floral, decor, food, and paper crafts are just a few of the different project categories listed on the site. When browsing through the different projects there is a brief description of the project, estimated crafting time, and a skill level. Each project provides a step-by-step easy to follow set of instructions and some are accompanied with a tutorial video. The project will have a supplies and tools list so you can gather everything you need before hand. You also have the option to print out the instructions or save it to your Projects List if you sign up for a free online account. 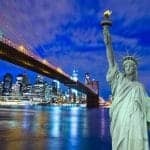 If you are not sure how the project will turn out, you can always read other peoples reviews. We hope you enjoyed this article. Make sure to check out our Arts & Crafts coupons before you shop. You may also like Crafts Glossary to help discover new types of crafts!